Small spaces and utility rooms can be difficult to cool. 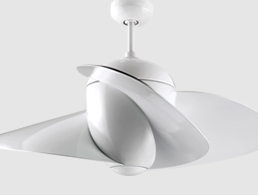 Monte Carlo can assure the perfect fit with our mini scale ceiling fans. Turn stuffy spaces into comfortable places with stylish mini/micro fans. Do you have a smaller bedroon or kitchen to cool? 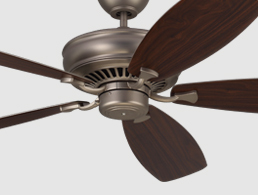 Monte Carlo can assure the perfect fit with our small scale ceiling fans. 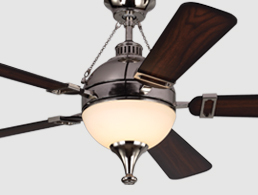 Ceiling Fans by Monte Carlo are designed to cool and accessorize any room. Match the Bronze size of your room with the size of the fan for the perfect match. Ceiling Fans by Monte Carlo are designed to cool and accessorize any room. Match the Bronze size of your room with the size of the fan for the perfect match. Quality decorative Ceiling Fans made of durable blades, a variety of finishes, endless accessories, and light kits turn any room into a breezy oasis. Ceiling fans are a welcome breeze in any room. Ceiling fans are an important part of creating the perfect home decor. In the last 10 years ceiling fans have become more technologically advanced, providing cooling in the summer months and warming in the winter months to save you on your energy bill drastically. Whether casual, contemporary, eclectic, modern, transitional, or simply traditional, Ceiling fan light kits and accessories are the perfect way to achieve your desired fashion or functional needs. Our designers pride themselves for using unique glass designs, colors and finishes, and blade materials that make these products some of the most attractive and desired styles available today. 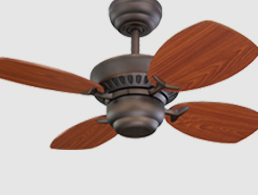 Ceiling fans are also available in ENERGY STARï¿½ qualified models, giving you the greatest energy savings. As one of the most recognized names in lighting, We are proud to feature hundreds of ceiling fan styles making us the selection of Home Builders, Architects, and Interior Designers today. Ceiling Fan light kits are available in many sizes and designs for indoor and outdoor areas. The use of indoor ceiling fans can reduce prices on your energy costs up to 40% in the summer and 10% in the winter, using only as much as energy as a 100 watt light bulb. During the summer ceiling fans create a "cooling effect" lowering temperatures as much as 7 degrees and recirculating the heat in the winter to the living area. Ceiling Fans are being used now not only in the main rooms in your home but also in kitchens and bathrooms where dampness may be an issue. Monte Carlo Fans has a large selection ceiling fan accessories. Light Kits, Downrods and remotes. By adding an optional light kit to many of our fans you can turn your fan into a lighting solution. Ceiling fan accessories will make your fan a perfect fit in any room. Outdoor ceiling fans can provide years of comfort and beauty if you pay attention to the quality, motor, durability, performance, design and warranty. Find a fan to coordinate your individual home style by choosing the color, finish, blade design, size, accessories, lighting and style. Ceiling Fans are being used now not only in indoor rooms in your home but also in patios and verandas cooling your summer breezes. Your authorized Monte Carlo Fans distributor, retailer, or sales representative can assist you with selecting the perfect ceiling fans, with coordinating downrods, light kits, ceiling fan remotes, mounting hardware, and a variety of accessories to reflect your style, application, and budget. We also offer online shopping so you may purchase any of our products online directly from our participating local lighting stores.